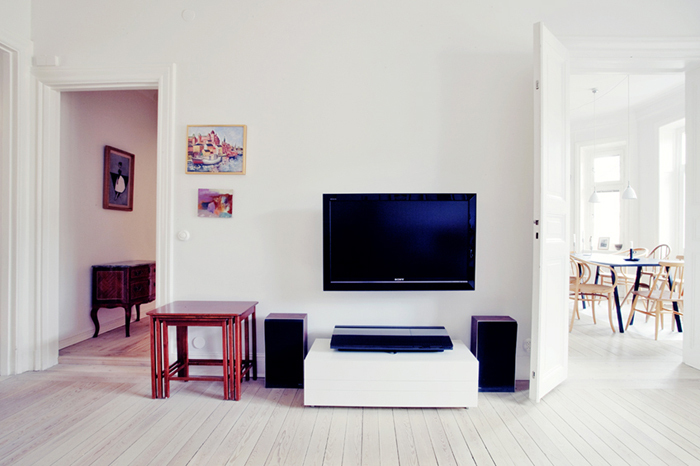 Ya, this is pretty close to my dream home/apartment. 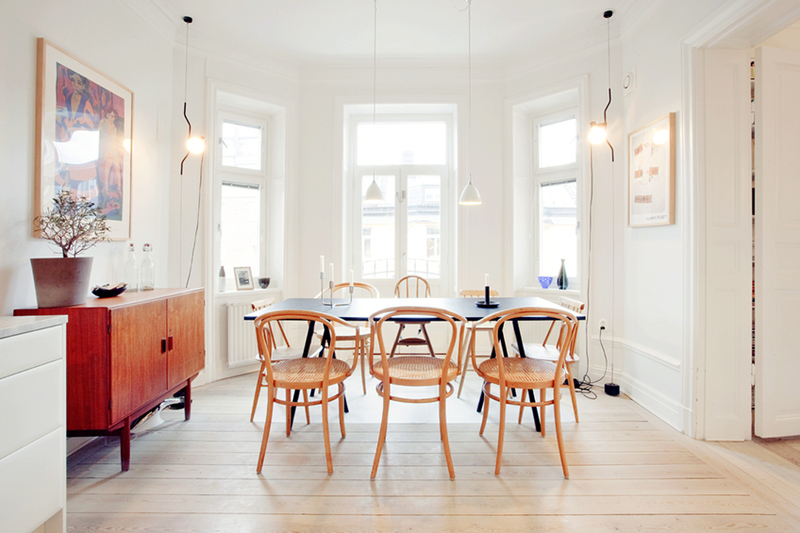 I have a new appreciation for Thonet chairs, they have a beautiful silhouette. And that flooring is my favorite. I'm curious about the bed though, is it two mattresses pushed together? A lot of European "matrimonial" beds are two mattresses together, although there is often a topper that is an inch or two thick that covers the whole space. I love that configuration, it's wide like an American king size bed but not as long so it's really cozy as a family bed. 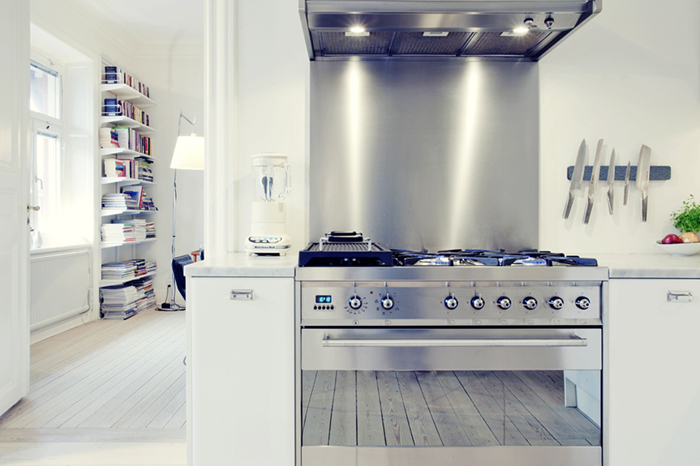 I am in adoration with that Swedish-style stove in the last picture, I would love a stove like that! i was also intrigued by the bed - i want something similar... with drawers under it! Gosh, if only there were such apartments in Israel... Not that we need the furnaces, but they make a nice decor touch. I definitely love the big windows and the bright light! Oh my goodness. This is such a dream! that bed is a little odd. i'm sure it's just two mattresses but the rest of the place is amazing. i love the dining room. So bright and lovely... I love that configuration! 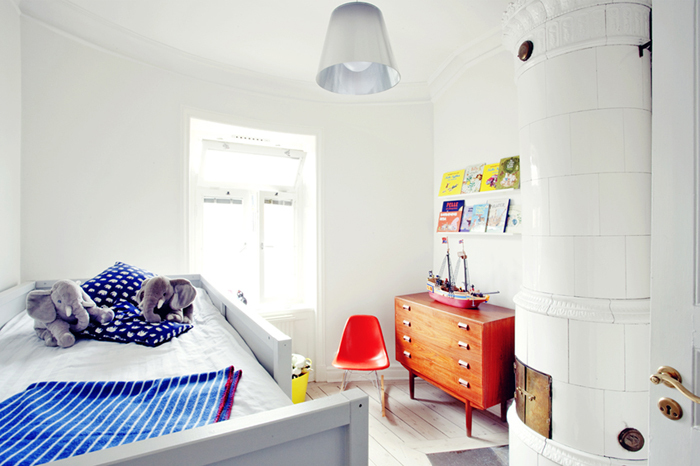 I am in adoration with that Swedish-style stove in the last picture! totally in love with this space. Open and clean but still warm and cozy. Agreed on the previous comments that it's probably 2 mattresses and 2 duvets. It's pretty common in the Scandinavian countries. We stayed in a Norwegian cabin last winter and I must say it was pretty awesome to have my own blanket but still be snuggled up next to my Mr.
As a person who lives in Sweden and is half Swedish (1/2 American) I can tell you that it is indeed two beds pushed together but with one top mattress holding them together. 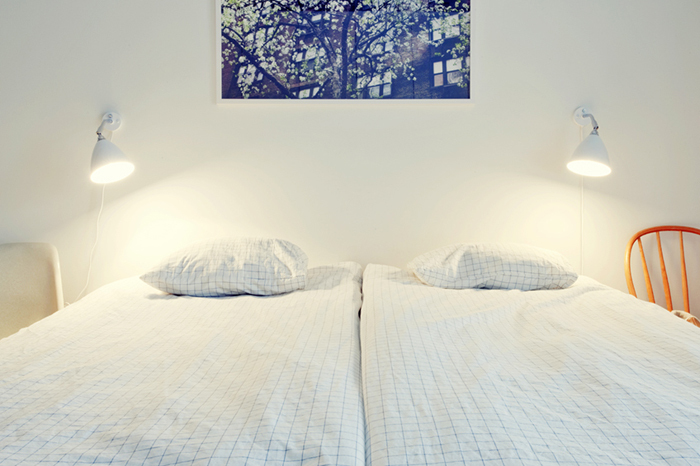 Most Swedes also have two duvets. I read an article a few years back about IKEA and how it had a hard time when first selling in the U.S. And it was primarily because no one bought bedding or sheets because the sizes are different. Now, of course they cater to the U.S. Markets needs. Now a days there are many kings and queens in Swedish homes but I would say that two singles pushed together is still the majority. 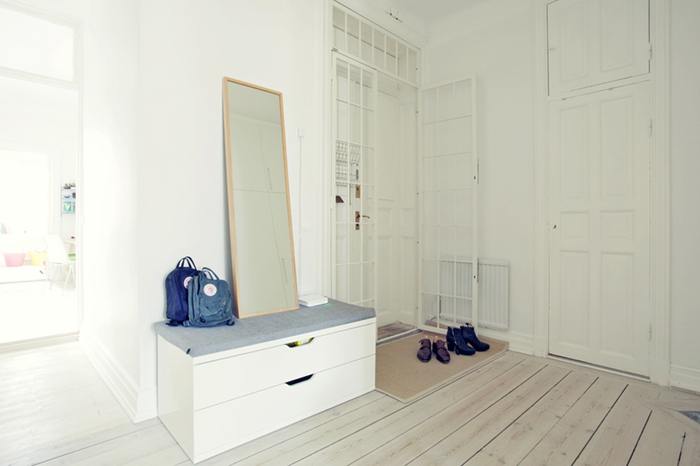 Although Swedish singles are just a bit wider then U.S.
thanks for the fab post! 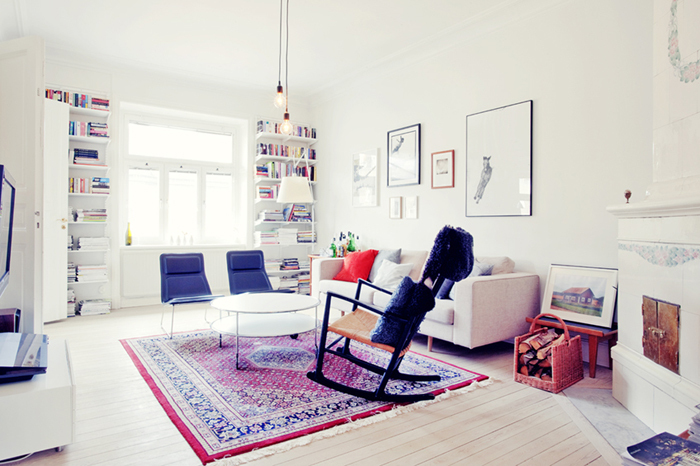 that living room is one of my favourites ever! And I concur with Stephanie & Kerry - it's most likely the two single duvets. This is one awesome place. I foudn myself more and more excited to decorate our house with each new photo I saw. Happy weekend! Also a Swede very familiar with the IKEA range, I think it is this bed (http://www.ikea.com/se/sv/catalog/products/80123993/) painted white with two mattress put on the floor below to make an extra bed (a bunk bed). 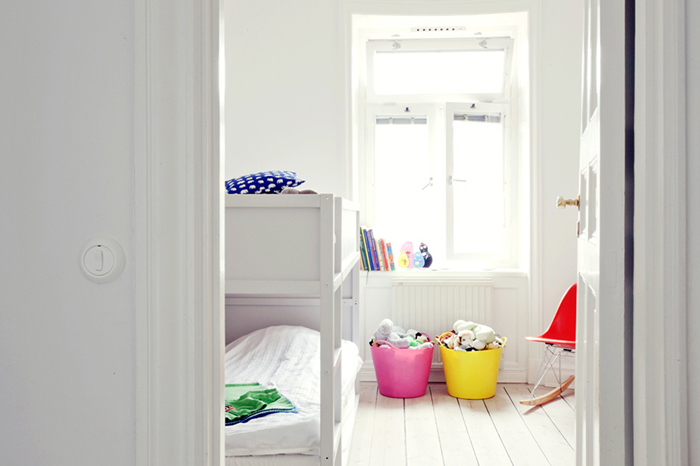 You see this bed a lot in Sweden with either a "cosy corner" made for the kid underneath, a work space, or if you need an extra bed, a mattress (or in this case two) underneath. 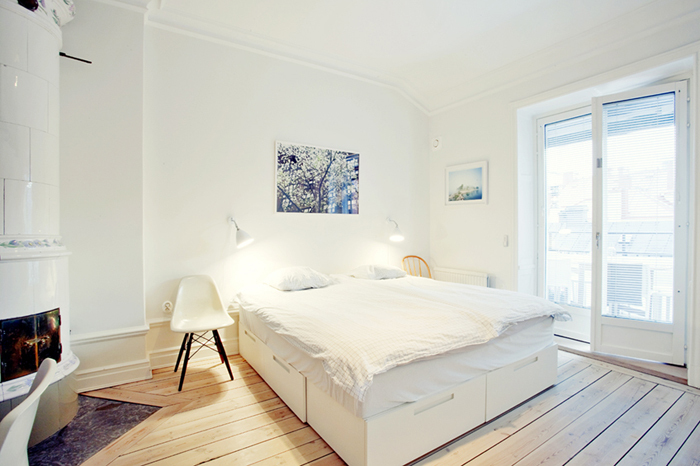 I want toc opy this bed. Do you know where the drawers come from? It doesn't look like ikea. Thanks for a lovely blog!